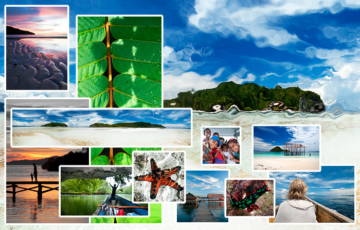 Raja Ampat Entry Fees: The official and local fees levied on visitors. There are only two official Raja Ampat entry fees that you will need to pay before visiting the islands. 1. The Indonesian tourist visa fee (unless you are a citizen of a country granted free 30 day tourist visas). 2. The Tariff to Support Environmental Services in Raja Ampat, which is more usually known as the Raja Ampat Marine Park Fee, Tag or PIN. A complete description of the Raja Ampat PIN fee (including its cost, what it’s for and where the money goes) can be read on our Raja Ampat Marine Park Entry Permit Tag page. Note: For those visiting on liveaboards, there’s also a separate official entrance fee based on the size of the vessel, but this is quite small and usually included in your trip price, not charged separately. In a nutshell? Don’t argue – just pay or leave. 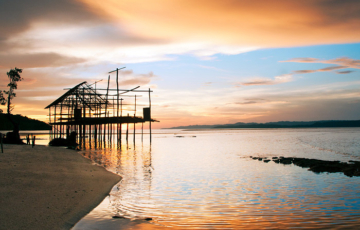 At some locations in Raja Ampat you may be asked to pay an entry fee by representatives of local communities. These are usually charged per boat, not per person, and are currently known to be be levied for visits to Wayag and Piaynemo (Penemu). 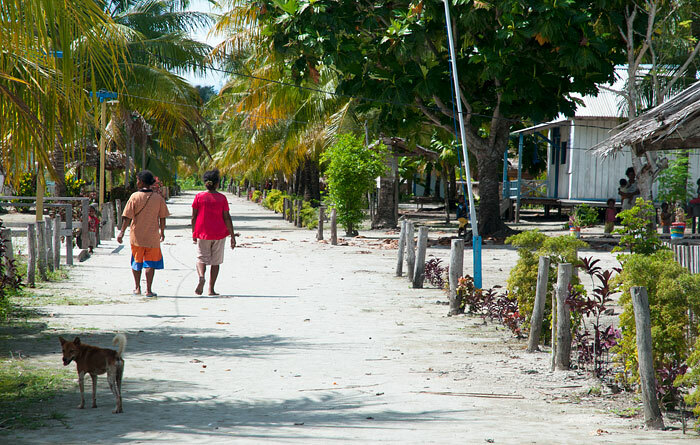 These unofficial access fees are being charged by some village communities in an effort to derive a benefit from the ever increasing numbers of tourists making use of those communities’ customary lands and seas. 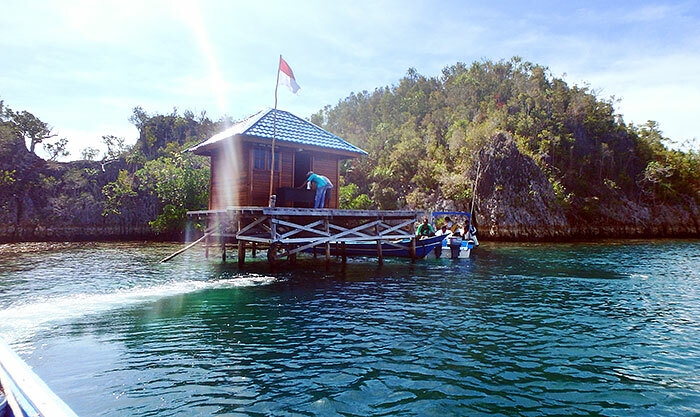 The fee for Piaynemo visits is currently IDR 300,000 per boat. At last report, boats visiting Wayag were being charged IDR 1,000,000 plus IDR 400,000 for the guide required to accompany you. 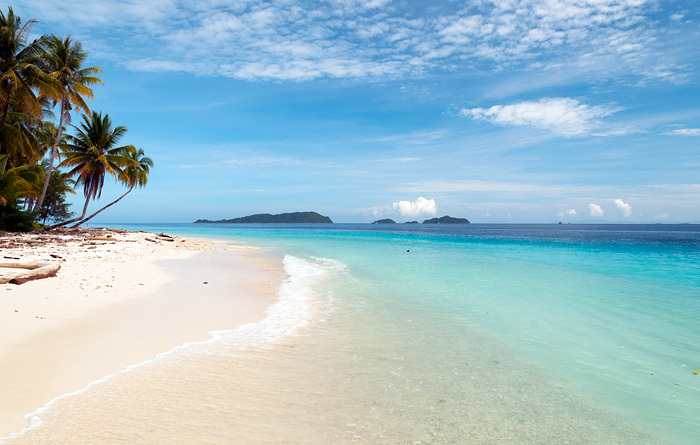 Most of the official Raja Ampat entry fee funds generated by PIN sales are directed to environmental protection and patrols of the Marine Protected Areas (MPAs). This is obviously an essential activity: It underpins the conservation effort in Raja Ampat – but it provides no immediate or direct benefit to local villages. A portion of the funds raised by PIN sales are set aside for a community development fund jointly administered by local government and communities, but the process of ensuring that these funds are managed transparently and distributed fairly means that it will be a long time before each village will feel a direct benefit. So imagine yourself as the inhabitant of a poorly serviced village like Saukabu on Pam, near Piaynemo: The only homestays near your village aren’t in Lonely Planet, so they stand empty for most of the year, while every day you see boats full of tourists arriving to snorkel and dive your reefs and visit your lookouts and other places of interest. 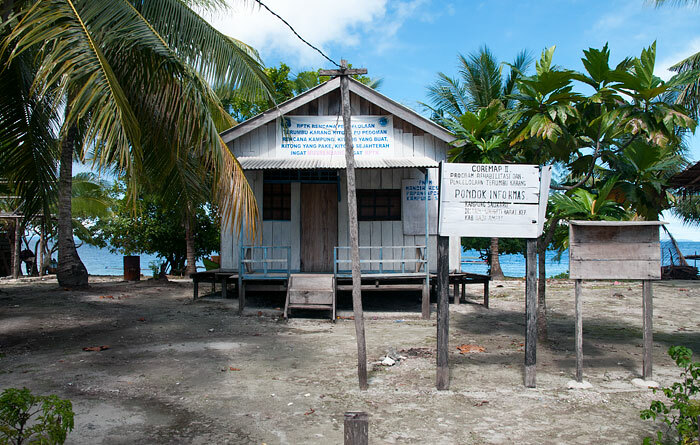 You know each tourist pays about USD100.00 to visit Raja Ampat, and you know that part of that money is supposed to be for community development, yet your village still has no electricity, health post or primary school. It seems that everyone is making money from your natural assets except you. How would you set about rectifying that? Over time this situation will hopefully change for the better as local communities develop alternative means of generating income and find ways to participate in the benefits of Raja Ampat’s ever growing tourism industry. For instance, villages near clusters of homestays (such as Yenbuba and Sawinggrai) are already feeling the economic benefit from the homestay sector. In the meantime, we recommend you either pay what’s being asked or leave. After all, unless you’re a lone traveller or couple the fees are not a huge addition to the standard trip cost. Try to remember that Raja Ampat isn’t a giant resort or theme park: We are all guests in the lands and waters we want to enjoy and only get to visit thanks to the welcome (conditional or otherwise) of local communities. By all means voice your concerns to your guide or homestay owner (remembering that in most cases the fee has nothing to do with him/her) but never try to argue the point with the village representatives charged with collecting the fee. Taking umbrage and being confrontational will achieve nothing and only risk ruining everybody’s day. To the best of our knowledge, these additional Raja Ampat entry fees are currently only being charged for visits to Wayag and Piaynemo, but to avoid being taken by surprise, always ask your guide before you set off on a trip if there will be additional entry fees. Finally, if you still strongly believe that these extra Raja Ampat entry fees are unjustified, then the best way to voice your disapproval and effect change is to simply not visit any places that charge them – it’s not as if there aren’t at least a thousand other beautiful reefs and islands to explore! I Totally agree with “Don’t argue, just pay or leave”. Or better yet don’t even go. There should be a mandatory online training and test for potential visitors to RA explaining the need to respect local traditions and above all the environment. This would be a good use of the park fee money. Someone who feels is entitled to choose how to spend money and doesn’t feel the need to respect local customs and local peoples needs can just go to Bali. And being unaware? Just read the information on this wonderful website. Congratulations. Honestly speaking it is obvious that somebody gets tensed if he has to pay a unofficial e try fee from local villagers after having payday hundreds of dollars for official entry fee and transportation to the islands. It is the duty of Indonesian government to take care of his population. We have come for a holiday and have already left lots of money in the region, people doesn’t come to Raja Ampat for doing Donations to local villagers. That is an illegal way to ask money to visitors and therefore it is a fraud. It isn’t villagers concern what visitors have paid for entrance fee and how much money they have in their pocket. There should be a limit to everything, trespassing this limit becomes clearly exploiting the visitors who are already funding the life of this region. True indeed Dennis – for some of us, it is extremely annoying. It’s not illegal at all though. Under Indonesian law, land owners have the right to charge visitors admission fees if they wish. We are free to choose though: If we think it is unjustified and exploitative, then we can simply leave. Of course you are right, but being that the margin which are having guest house owners on he boat tours are very high considering what are the average salaries in Indonesia, this fees should be borne by them itself, as they are bringing the boats to the spot, and implement that cost into the fee for the excursions. Otherwise they should exactly tell to the tourists what will be the extra charge at that spots, so that the people can choose ahead to do it or not. Because once they reach the place they have already paid for the trip and Ur sentence: “if u don’t want to pay don’t get off from the boat” is senseless. It’s the same issue as the petrol mafia in Waigeo (moreover I doubt that at pertamina they don’t give petrol to locals, I guess they only don’t give to tourists), which at the end of the day is being paid by tourists, therefore nobody cares to regulate the situation. It’s a vicious circle , which might be dangerous on a long term for the villagers itself. Nowadays there is internet and people narrates their stories, both positive and also negative ones. Somebody coming from very far, spending a lot of money to visit your homevillage should be treated as god’s gift and should not be exploited only because he is supposed to be richer than locals. How somebody spends his money is an exclusively personal matter and nobody should tell me how I have to spend my money, for which I have work hardly as any villager of the world. A friend of mine wants to revisit raja ampat, but he lost his pin. Is there a list name so he can get reprint the new one as it’s just a few months ago? That’s a question that would need to be asked at the offices that sell the permit cards Yulaia. Hopefully they have records available that would make it possible! I was on a liveaboard, and think that the entrance fee of 1 000 000 Roupie a mere 6 Euros, is not enought compare to the price paid for the whole trip. I think that it is for your guide to tell you about the way people live in these villages , and that it would be nice to contribute to their way of life like they do in Arborek with a donation box so you can be sure that your money is going to the people there. Visitors have to understand that it is such a remote place and that we cannot enjoy such beauties without giving anything in return. I don’t think either , that it is a cash problem you should have some with you anyway to pay for meals or others expenses. I hope that in the future Papuans (??) will get some help to organise the recycling of waste, and protect the reef, because they should be aware that it’s their livelihood, which i’m not sure they do understand it. Some people try to help like in Sawinggrai, with a school, but it is for the government to do something , but I’m afraid it will take some time before they realise that they are losing something unique, only one in the world. I heard that the ship “Kalabia” a school boat is short of cash to have it repaired. It is for us as well to respond to this situation, so a small fee is not a lot, Papuans need us so please help them. The majority of the entry fee goes to the organisation responsible for managing Raja Ampat’s Marine Protected Areas and the Kabupaten government. There is no transparency about what is happening with the portion that is supposed to go the community fund, but it is a fact that very few have received any benefit from that. 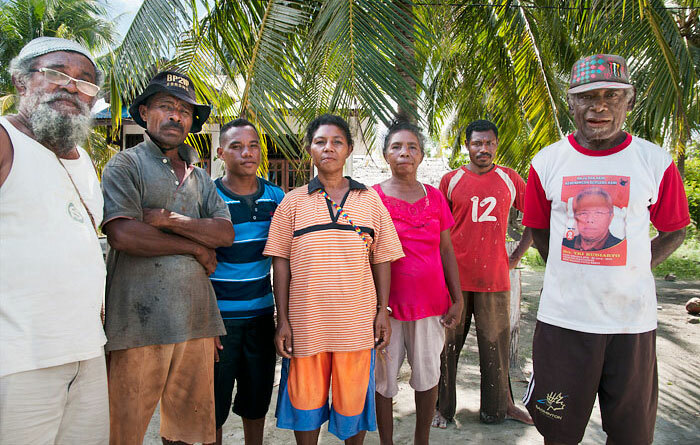 The best way to help Papuan communities is to support their businesses. Staying at homestays provides a substantial and direct economic benefit to the entire community that homestay families belong to. In my experience, the fees have been reasonable, and represent a worthwhile contribution to the well-being of people who live there. Problems occur when people don’t know what to expect ahead of time. This is a cash society, and it’s not easy to obtain additional cash when traveling in Raja Ampat. We saw many people who like us, were caught unaware when disembarking the ferry, and worried that they might not have enough funds to pay their hosts. Some got argumentative. Fortunately, there are now cash machines in Waigeo, but travelers need to know that and be able to find them. The Waigeo tourist facility has a nice poster in English explaining the Raja Ampat fee. Similar explanations in Sorong (places like the ferry building, airport, hotels) would help if provided in English–maybe even brochures. 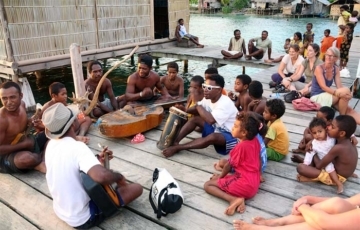 People in the Raja Ampat villiages include many indigenous Papuans. This group has lost most of their ancestral lands since 1965. I’m glad if they can derive some benefit from whatever they have left. You’re correct: Being caught unawares is usually the biggest part of the problem. We’ve written extensively about Money, Banks and ATMs in Raja Ampat, exactly what the official entry fee is for and how the collected funds are used, and all the other essential information needed when planning a trip to Raja Ampat – so all that info is readily available online. Brochures on the ground are a great idea (and are already in production), but nothing beats a solid bit of research and reading prior to actually arriving – especially when it comes to accessing cash. 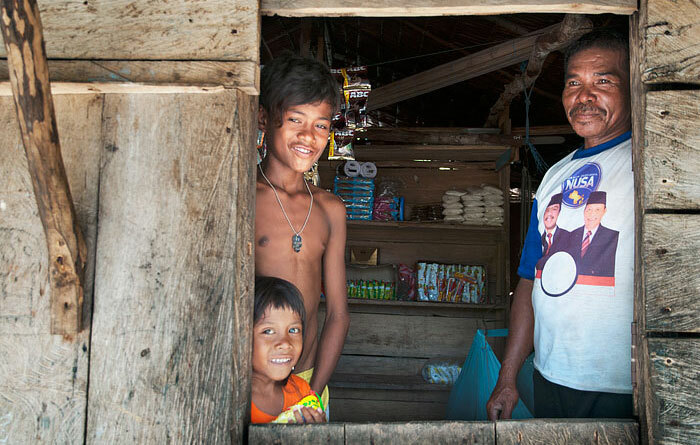 Depending on your card issuer, that can even be a problem in Sorong!